Who doesn't dream of being whisked away by helicopter to a hangar filled to the brim with all the latest beauty products and the experts to help you get the most out of them (oh and the cocktails don't hurt either!)? This is the first year I've attended the annual London Drugs Beauty Event, and I couldn't have been more blown away! Not only did I walk away in my leopard high heels with a bag full of products to try out, but the beauty experts of each brand shared the most helpful tips and advice on how to get the most out of each product. My biggest takeaways from the night? Revlon Gel Envy nail polish is my new best friend (that stuff really lasts! ), Prestige cosmetics have the most amazingly pigmented Total Intensity eye shadows I've ever seen, and Chella is now my go-to brand for brows. London Drugs is now officially my hot spot for everything beauty! You'll find out more about the individual beauty products as I try them out with my weekly outfit posts, so stay tuned! These hot hues from NYX can be used as eyeshadow, blush, whatever you like! And apply their awesome NYX white pencil underneath, and the pigment become even more vibrant! 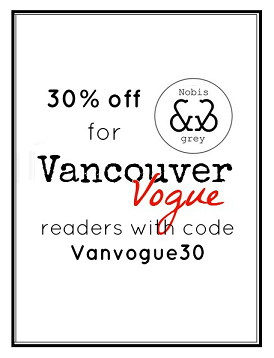 Vancouver Vogue's photographer Chantale gets a hair makeover from got2b! Not only the most glamorous presentation, but also the most glamorous accessories. c.A.K.e jewellery is exclusive to London Drugs in Canada! Prestige cosmetics is a new brand to me, and I couldn't possibly be more in love! Never have I seen such pigmented eyeshadows before! Highly highly recommend picking some up from London Drugs! NYX Face Awards: Vote for Your Favourite!